Published by Some Air. View original article. The anonymously-authored blog unironically named ‘Stop These Things’ proudly claimed that 2014 would be the year that they ‘go viral‘. 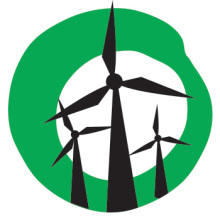 In 2013, the blog published death threats directed at wind industry workers. Unsurprisingly, they’re not going viral. Yesterday, they published a post directly attacking a couple of wind farms I’m quite fond of, because they’re owned and operated by my employer. 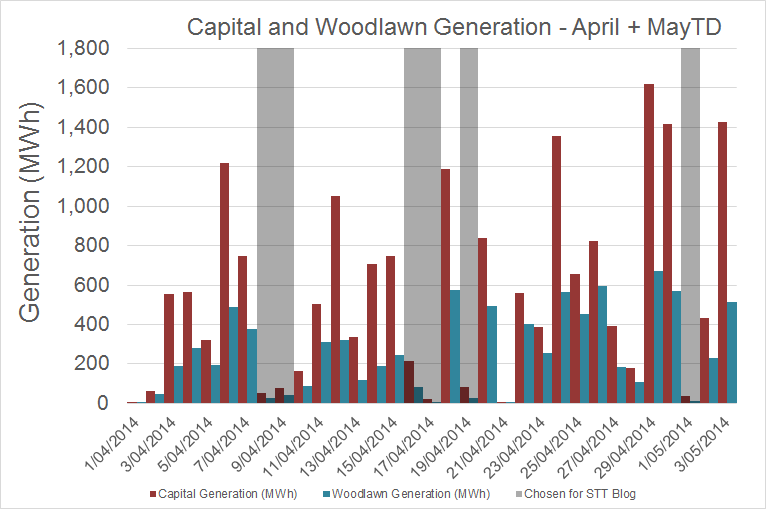 The argument is familiar: output varies, therefore destroy all wind farms. You can read a copy here. 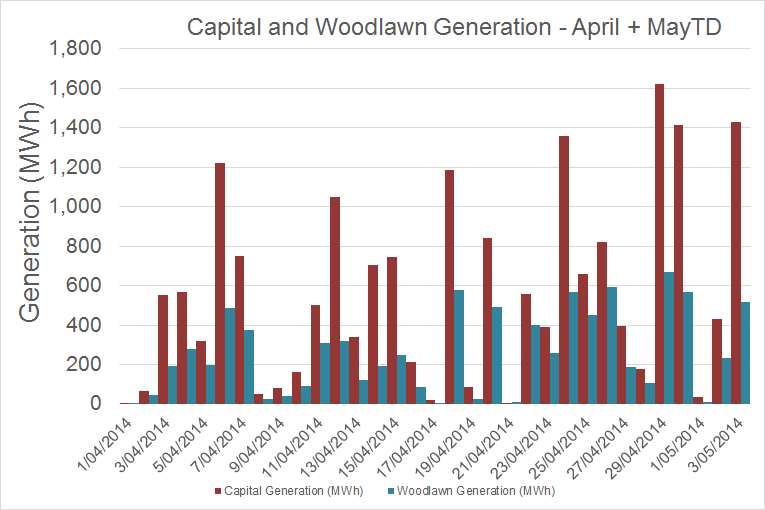 They cite a few days in the past month, giving the wind farms a supercilious ‘report card’, without really delving into how they chose those days – the 8th of April, 9th of April, 16th of April, 17th of April, 19th of April and the 1st of May. Winds speeds vary over time. These changes are forecast by the market operator, AEMO, quite accurately. This isn’t a surprise to most people. It’s impossible for the anonymous author of the blog to paint wind as ineffective, and also be honest. They deceive, and therefore they are. Thanks for reposting this. 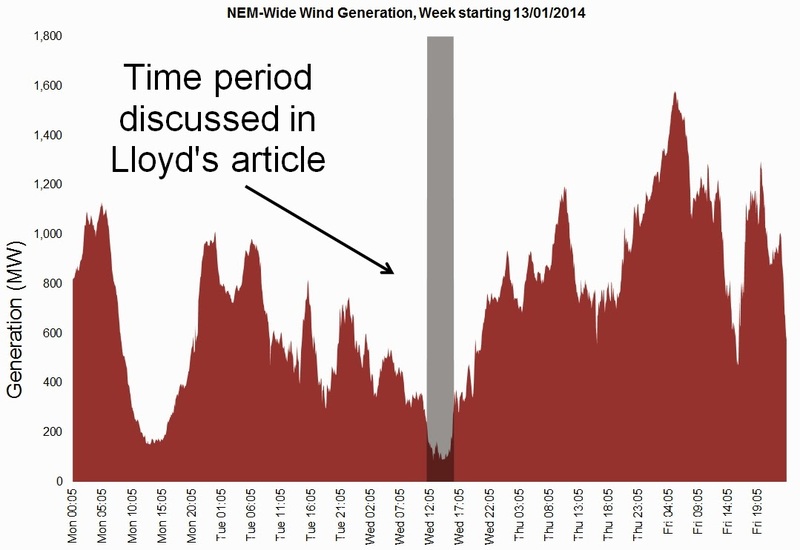 More evidence of the intellectual bankruptcy of wind farm opponents who appear to believe that readers of their childishly transparent propaganda don’t really need to know the finer details, i.e., the truth. Any old lie will do – a bit like those espoused by our fearless PM who appears to inspire these cranks. Of course the cowards who post on SST rarely demonstrate the conviction of their beliefs by posting under their real name. They prefer stupid pseudonyms or partial names for fear of being publicly revealed. Preeminently public embarrassment is too much for their fragile egos? But as Ketan’s original post highlights, these mugs never tell the whole story, Any lie, deception or omission of facts will do if it helps skew opinion in the direction of their tortured parody of reality. Be interesting to see if any of the usual anti-wind trolls pipe up on this post, or will they (wisely) roll with that punch and try again with another squirrel grip? I wonder which species of idiot they’re aiming their rhetoric at nowadays? BACBikes is that your real name or as Blair said an [ stupid pseudonym or a partial name for you are in fear of being publicly revealed].Come on guys your making fools of each other.Blair only uses his name because of his huge following he is like a cult leader.He wont talk to me anymore as I don’t believe him. This more a case of Ketan Joshi trying to protect his job. H’mmmmm, I wonder what Blair was on when he wrote that? “I wonder which species of idiot they’re aiming their rhetoric at nowadays?” er, BACbikes!